Ulverstone Swim Centre (off Leighlands Avenue) low impact – high energy – fun – 45 minute sessions. To see times click on the link below. Cost is $11.00 per session or 10 sessions for $95.00, concessions available. Please note: Participants are required to manage their own individual health status during the class. If unsure, please seek medical advice before participating in the class. For more information contact Melissa Budgeon on 0458 407 872. Develop focus, mindfulness and energy. Discover the true strength of your body at any age. Mondays at 6.30pm and Thursdays at 6.30pm in the Montgomery Room, Ulverstone. For more information contact Allan 0409 516 290. 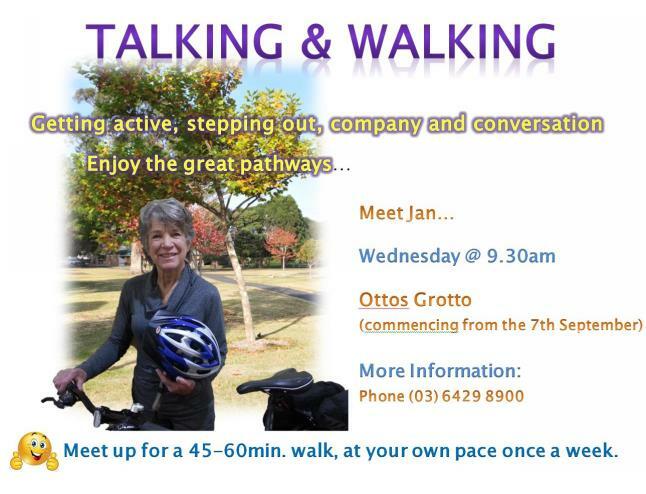 For a bit of exercise and a load of fun, join Lyn on Tuesdays between 10.30–11.30am at Ulverstone Neighbourhood House, Lugana Crescent, West Ulverstone. For more information contact 03 6425 4186. A system of exercises designed to improve physical strength, flexibility and posture while also enhancing mental awareness. Held Mondays between 7.00-8.00pm at the Ulverstone Sports and Leisure Centre. Available for hire for community groups and organisations. For further information please phone 0417 038 366. The Central Coast Men’s Shed Group operate from the shed on Mondays, Wednesdays and Fridays from 9.00am to 1.00pm. The shed is located at the Ulverstone Showground, Flora Street, West Ulverstone. Cost of entry is $2.00 per person which gives you access to use all the woodworking equipment during this time. Drop in and check the venue out. The Mt St Vincent Nursing Home and Therapy Centre offers a range of health and wellness services to community members ranging from casual supervised gym use, to one-on-one, individually designed exercise programs to manage and prevent chronic conditions and injuries. They also offer group exercise classes designed for older adults to improve balance, strength and ease of completing daily tasks in a social and supportive environment. The gym was designed with people over 65 years old in mind, and they have specialised equipment to cater to the needs of this age group.